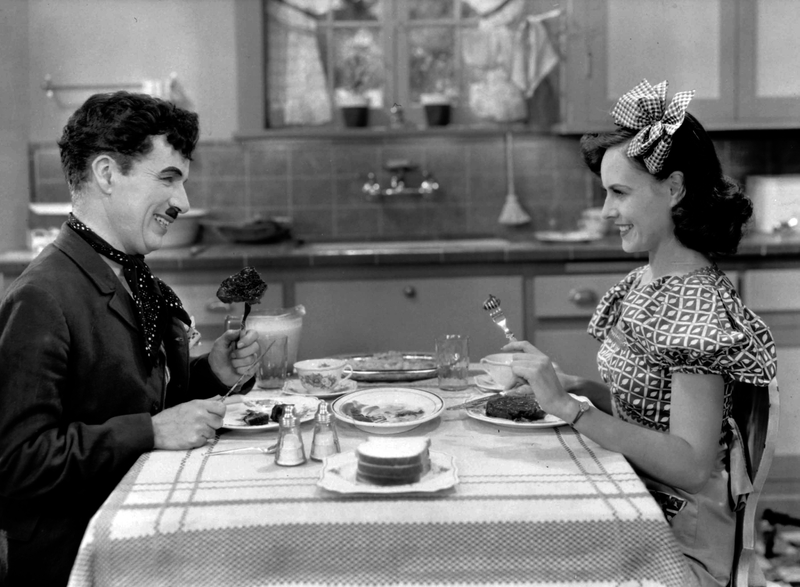 Charlie Chaplin with his love interest Paulette Goddard in “Modern Times,” showing on Valentine’s Day at the Cultural Center of Cape Cod. This weekend I’ll be trying something new. I’ve already done a Festival of Arab and Middle Eastern Cinema several times, but this upcoming Festival is a bit more personal to me. I will be bringing my passion for film together with my role as a mother to create the Cape Cod Family & Youth Film Festival. As it happens, this festival is set to take place over Valentine’s Day weekend. In honor of that occasion, I have chosen to open the festival with the Charlie Chaplin film. Like just about all of Chaplin films, Modern Times is a love story, as well as a social commentary, mixed in with a lot of laughs. I’m pretty sure modern times was the first Chaplin film I never seen. It was shown in eight film history class in my high school. After seeing it and coming to the realization that Chaplin was a genius, (something I was not the first to discover, obviously), I began seeking out his other films, including his best, in my opinion, The Kid. Just watching the way he moves, expressions he makes, and knowing how much his films are his own vision: these were inspirations to me that perhaps set me on the path to making my own films. Chaplin directed, he wrote, he starred in, and actually wrote the musical scores for many of his films (including Modern Times). In addition to being part of the reason for my deep, abiding love of cinema, Chaplin also may have been the first to infiltrate my teen-aged mind and get me to look at class in America. Modern Times is about the inhumanity of the mechanized world, which at the time (1936) was best represented in the world of the factory. Today, 80 years after Modern Times was made, it is no less significant as a critique of our society. While the Industrial Revolution is far behind us, there are new forms of mechanization that we deal with every day. And just as the factories of the past were forces of both positive and negative change, so, too are the modern technologies with which we all interact regularly. While this Chaplin film is the kickoff to a festival with families and children in mind, no one is immune to Charlie Chaplin’s charms. So, whether you have children or not, I invite you to rediscover Modern Times by Charlie Chaplin this Valentine’s Day, Sunday, February 14th, at 1 PM at the Cultural Center of Cape Cod. Advance tickets are on sale now here or by calling the Cultural Center at 508.394.7100, and you can also pay at the door (Adults: $10/Children (under 18): $5).